Minimum age allowed on this tour is 8 yrs (wine tasting 21+) weight range 70-270 lbs. 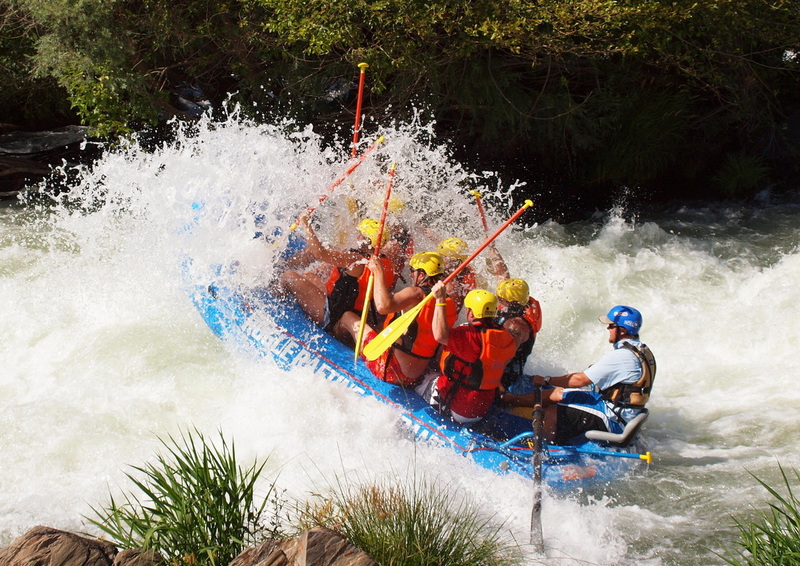 Experience the best of Southern Oregon on this healthy fun filled day long adventure! Park at one location and our shuttle services will take care of the rest. At Rogue Rafting Company you will join us on aprofessionally guided whitewater rafting trip atop the rapids of the Rogue River. Your voyage begins in docile tides where explorers and gold sifters start the adventure comfortably as they become familiar with rafting tactics. Drifting onward, vessels are met with increasingly stronger currents that challenge crews, eventually meeting the liquid bombardment and derisive sarcasm of a Class IV rapid. After surmounting initial blitzes of tumultuous torrents, raft-masters seize brief moments of mellow waters to refuel before one final deluge. Your adventure will run the length of seven miles and last around three hours. Rafting greenhorns and gurus alike are encouraged to test the varying rapids of the Rogue River. Snacks and refreshments are included in the rafting adventure. * Trip length is dependent on water flow. Conclude with Del Rio Vineyards & Winery where you can reflect on your day and wind down with a custom estate wine tasting experience. Located in the heart of the Rogue Valley in Southern Oregon. Our soil, rolling hills, alluvial fans, and southern exposure comprise a solid foundation for wine making. We build on this foundation through a grower's sensitivity to the land and a winemaker's intuition. 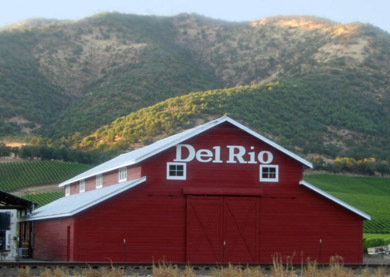 With over 200 acres and fifteen grape varietals, Del Rio produces premium estate wines and is a key supplier of grapes for fine winemakers. Our unique blend of climate and terrain afford our grapes the elusive quality sought by vintners everywhere. Restrictions: Minimum age allowed on this tour is 8 years old (wine tasting age 21+), weight range of 70-275 lbs. All tours are weather permitting. Special instructions for guests under 18. All tours are weather permitting. Guest must meet Zip Line and Rafting requirements (posted on websites). A total of 6 guest must book on a tour for it to operate. Does not mean that you have to make a reservation for 6 but it helps to insure that your tour time does not get re-scheduled or canceled for lack of participants.